EVs are becoming an accepted and viable alternate technology for countries facing energy security issues with their import of petroleum supplies for transportation. These countries are developing important plans to acquire EV technologies that will meet their unique domestic travel needs. Two such counties are Israel andSingapore, and EMC is pleased that technical experts from these countries will explain their needs and the opportunities these needs represent to the Canadian EV industry at a special session taking place during EV2014VÉ on Wednesday October 29 at 2:00 PM in Vancouver. Two other important sets of information relating to export opportunities will also be part of this session. 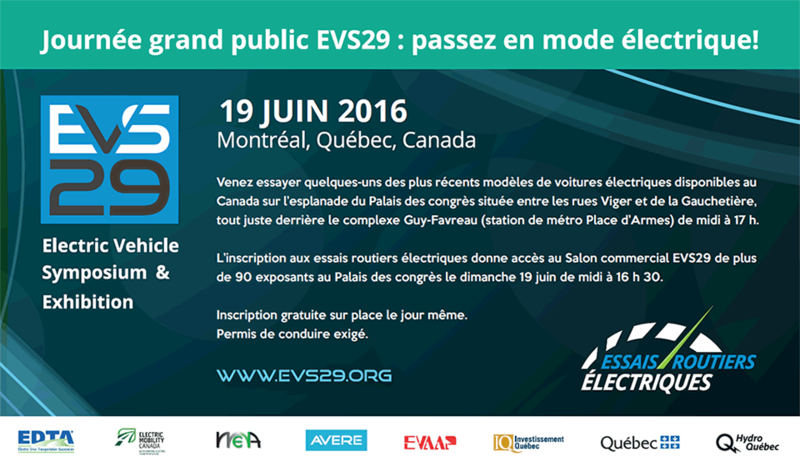 How the Canadian EV industry can, through EMC, avail themselves of important government financial support to exhibit their products and services to a large global audience expected at EVS 28 in Korea in May 2015. Representatives from our federal and provincial governments will explain their support programs available to the Canadian EV industry for domestic and export technology development and commercialization activities. If you have not yet registered for EV2014VÉ, please do so today. Click here to read the full article on this important technical session at EV2014VÉ.